Could a Wearable Help Prevent Pressure Injuries? A study explored the use of a wearable designed to monitor patient position and movement. Researchers at Stanford Health Care looked at whether a wearable patient sensor could improve patient outcomes. Published in the International Journal of Nursing Studies, the study, "Effect of a wearable patient sensor on care delivery for preventing pressure injuries in acutely ill adults: A pragmatic randomized clinical trial (LS-HAPI study)," found that patients randomized to be treated by Leaf Healthcare’s sensor were 73% less likely to develop a pressure injury. Leaf Healthcare’s wearable sensor is worn on the upper torso, and it transmits patient position and orientation information wirelessly through small Leaf antennas plugged into electrical outlets in patient rooms, Annemari Cooley, VP, market development for Leaf Healthcare, told MD+DI. “The sensor detects all patient position changes in bed, in chair, and when ambulating and lets caregivers know via visual cues when a patient has been immobile for too long,” she said. The Stanford Health Care study involved more than 1200 patients and over 100,000 hours of data. 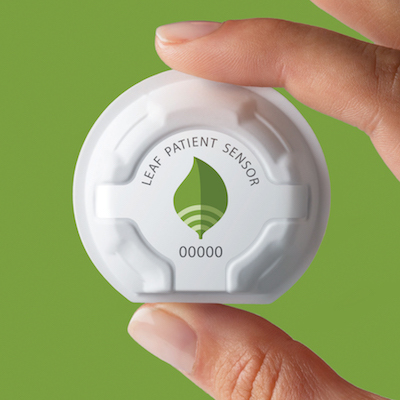 Patients were randomized to either a treatment or control group, and in the treatment group the Leaf sensor was used to help ensure that patients were repositioned with sufficient frequency and quality, Leaf reported in a news release. “This large, randomized, controlled trial confirms what has been demonstrated in smaller studies and is consistent with real-world customer experience," stated Leaf Healthcare CEO and co-founder Barrett Larson in the release. "This study is an important step towards redefining the standard of care for pressure injury prevention." "Design for Demand" The Wearable Artifical Kidney Story," by Jonathan Himmelfarb, MD (Director, Kidney Research Institute), on Tuesday, February 6, at 9:30am - 10:00am. Dr. Himmelfarb will explain the "creation of a wearable alternative to conventional dialysis treatment and the explosion of interest and support." The session is part of the conference track on Product Development Best Practices. Click here to learn more about the show and view the full conference schedule.